If You Love Chocolate, This Brand Is Heaven On Earth. Swiss-made chocolate bars and truffles, Bolivian Royal quinoa, heirloom Thai rice and ascobado cane sugar. 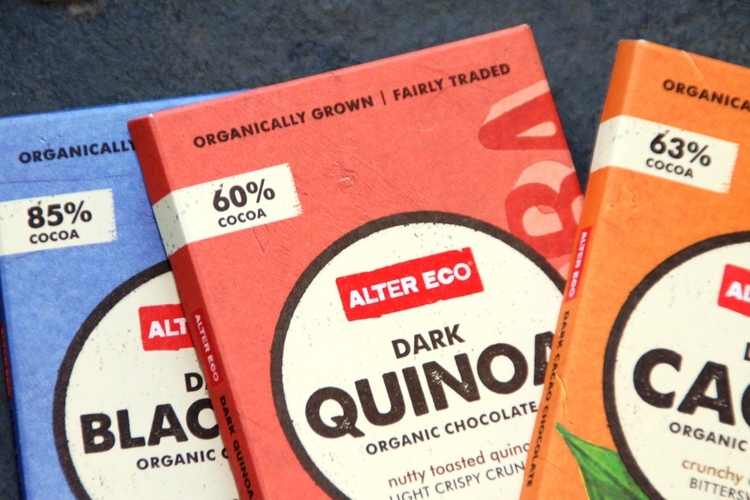 Their collection is beyond delicious but what we really love is that all Alter Eco products are 100% USDA Certified Organic, Fair Trade Certified, Carbon Neutral Certified, Non-GMO Project Verified and Certified Gluten-Free. The brand is also recognized as certified Benefit Corporation, and highly dedicated to sustainability throughout its operations and supply chain. So it seems you can have your chocolate and eat it too . . . As long as it’s Alter Eco!